Huge opening party kicks off the season on June 27th with a heavyweight lineup featuring Ben Klock, Maceo Plex, Marcel Dettmann, Mind Against, Rødhåd, Stephan Bodzin (Live), Tale Of Us and Vaal. Âme, DIXON, Fjaak, Nina Kraviz, Recondite, Robert Hood, Solomun, Sven Väth and many more will perform throughout the season. 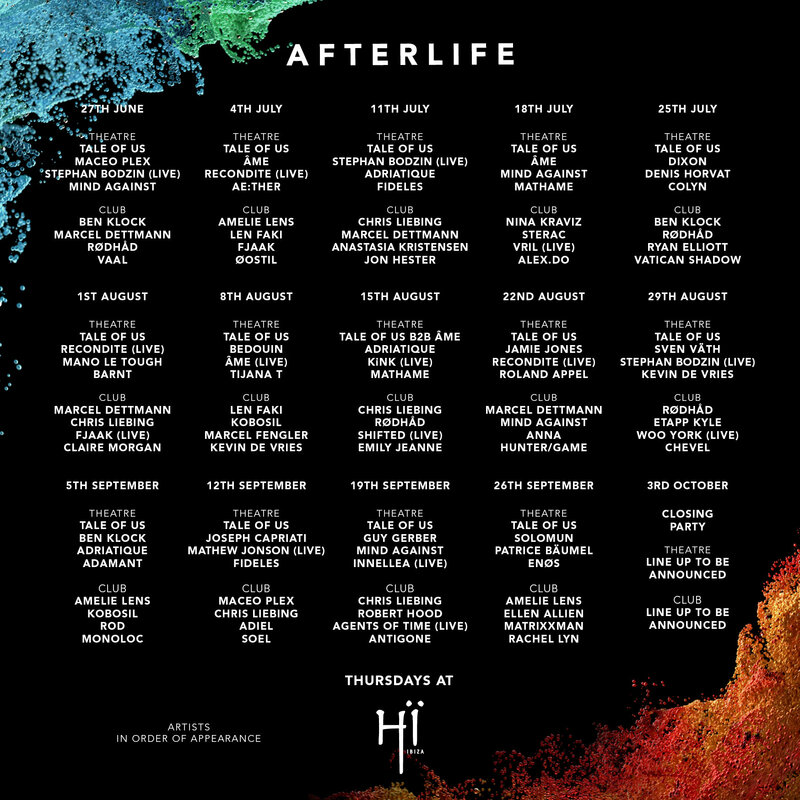 Tale Of Us have revealed their carefully-curated line up for the upcoming 2019 season at Hï Ibizafeaturing returning favourites Âme, Ben Klock, Maceo Plex, Nina Kraviz, and Stephan Bodzinalongside other world-renowned DJs Dixon, Solomun and Sven Väth. The second space (“Club”) develops the techno room concept further, with Etapp Kyle, Fjaak, Kobosiland Robert Hood amongst those channeling a dark and powerful, underground sound.